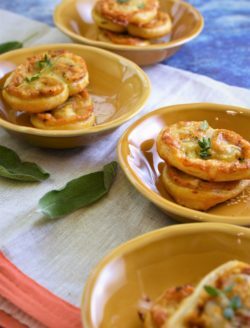 Herb Roasted Butternut Squash, White Cheddar and Dijon Palmiers | Recipe For A Party | Life is a Party, So Celebrate! Sadly summer is over but we are still having warm days here in the Bay Area and fall is such a beautiful season as well. 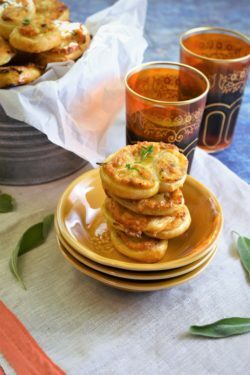 I’m still harvesting my beautiful fresh herbs from my garden for my recipes, so I thought I would use them in today’s wonderful recipe with squash. 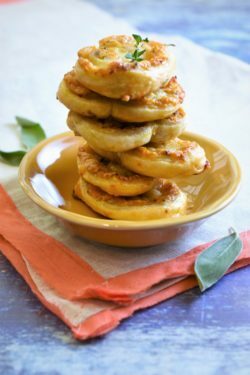 Butternut squash is one of my favorite squashes and luckily you can get it year round at the store but I really enjoy cooking with it during the fall and winter months. 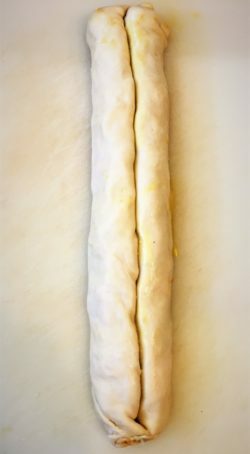 I’m using this squash in this autumn inspired hor d’ouevres in flaky, buttery puff pastry. I usually make a ham and cheese palmier but this time I thought that butternut squash would be the star of this main attraction. 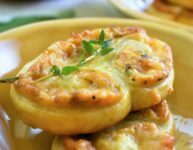 Pre-made puff pastry is a close friend of mine, ha, ha…it’s such a versatile item and I always have a couple of packages in my freezer. 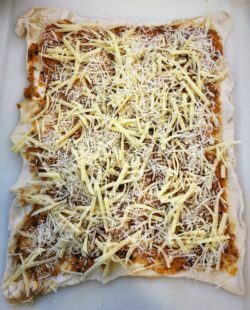 Don’t be intimidated by it, it’s much easier to use than phyllo dough and once you get the hang of it, you will want to use it for so many dishes. This recipe may have a few steps but it really is quite easy and the outcome is so worth it. 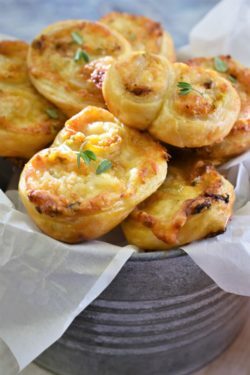 Just think, your party guests will be sipping their wine or cocktails and crunching on these gorgeous, flaky tidbits and really enjoying themselves and you will end up being the star at your party. Don’t you wish you had a bucket of these by your side? Oh and lastly, you can make this ahead of time up to the point of baking them, just wrap the pastry in parchment paper and plastic wrap and put in the freezer. When you want to bake them, just thaw for an hour, and then proceed to slice them and bake them off. That’s what I did; because I was a little too ambitious to think I had the time to blog two recipes on Saturday, so I threw it in the freezer and baked them today. 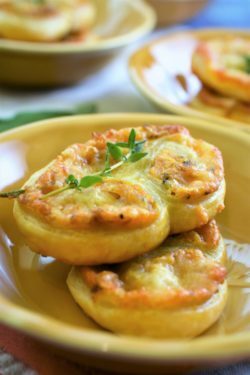 You will impress your guests with this savory fall appetizer, I promise! 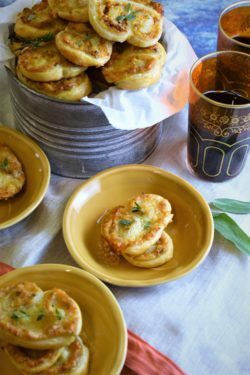 Savory, flaky, buttery...what more could you want in an appetizer...oh don't forget the hint of sweetness from the luscious butternut squash...yum! 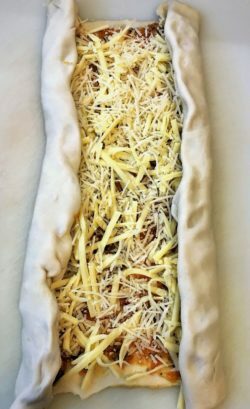 Meanwhile gently roll out the puff pastry to 9 ½ by 11 ½ inches, spread the sheet of puff pastry with the Dijon mustard, followed by the cooled butternut squash on top of that.